Trey Burton will be a Bear. 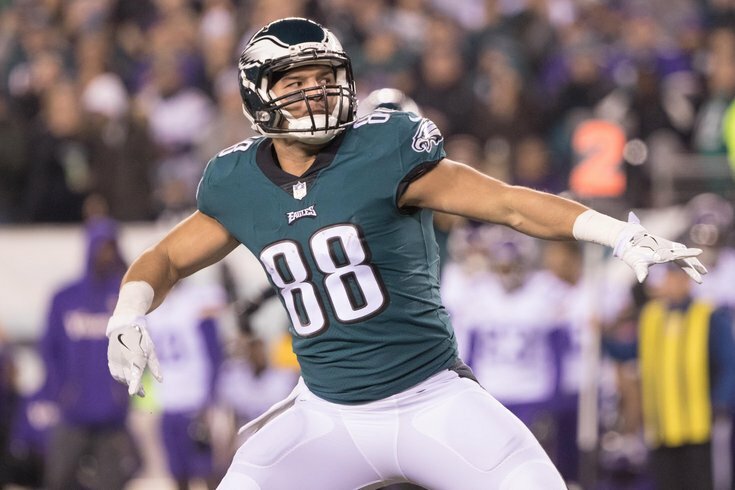 According to Mike Garafolo of NFL Network, the Chicago Bears are set to sign Philadelphia Eagles free agent tight end Trey Burton, who was widely expected not to return to Philly in 2018. Burton was a very useful player for the Eagles, serving as a core special teamer, and something of a jack-of-all-trades within the regular offense. In the two games starting tight end Zach Ertz missed in 2017 due to injury (Broncos and Rams), Burton showed up in a big way, catching 7 passes for 112 yards and 3 TDs. In Chicago, Burton will have the chance to be the No. 1 tight end, whereas his playing time was always going to be limited in Philadelphia playing behind Ertz.